At GÁMIZ GROUP we demand the same quality levels from our woods as from the products which are a result of using them. 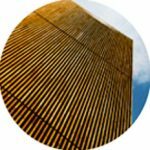 Our catalogue of quality wood products deploys all the necessary resources for large architectural projects, and combines proposals for structural and decorative use for both exterior and interior. 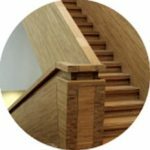 Laminated oak beams, laminated profiles, edge-glued wood panels, acetylated wood, technical wood, high-end flooring for interiors or exteriors woods are just some of our products, essential ingredients for optimum guarantee constructions and designs. At GÁMIZ GROUP, in addition to producing and manufacturing wood products, we also commercialize and distribute leading brands in the sector. ACCOYA®, GEOLAM or TAG are authentic symbols of quality when talking about wood, and in the hands of GÁMIZ GROUP they are destined for emblematic projects that have premium quality and a good finish as a starting point. Welcome to quality, technology, durability, resistance, respect for the environment. Welcome to the natural beauty of good wood. 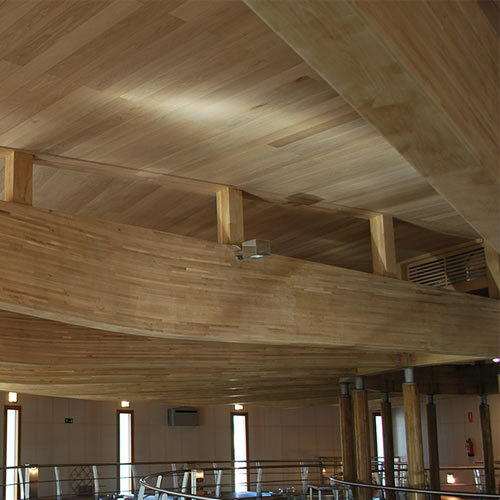 At GÁMIZ GROUP we are manufacturers of VIGAM, premium quality glulam beams in oak, ash, beech, iroko and radiata pine. Thanks to the latest technology, we improve the resistance and stability of good wood provided by nature, eliminating the likelihood of cracking and enabling the production of beams for structural use and decorative use. GÁMIZ GROUP is the first manufacturer worldwide of oak glulam beams to obtain the CE marking for structural use. Since the beginning of 2010 we have held the prestigious quality certificate FCBA (France), brand CTB-LCA, for the elaboration of our oak, beech and pine laminated profiles. At GÁMIZ GROUP we manufacture both standard measurements and sections tailored to the customer’s needs. Our PERFIGAM hardwood and hardwood laminate profiles guarantee stability and durability. 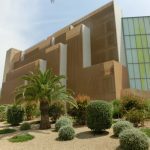 The edge-glued panels (Finger, whole stave or Three-layer) are characterized by their long durability, easy machinning and modern aesthetics. ALIGAM, the range of oak, beech, ash and pine edge-glued panels from GÁMIZ GROUP ensures the best result in construction, decoration and furniture. Standard sized edge-glued panels are available and we also manufacture them according to the customer requirements. 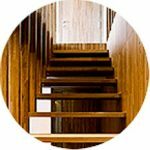 The acetylation process used to produce the ACCOYA® solid wood results in a sustainable modified wood, of great durability and dimensional stability, capable of replacing tropical hardwoods in any exterior application, such as facades and claddings, doors, windows, outdoor decking, furniture, etc. 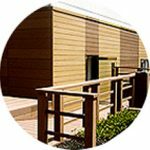 ACCOYA® guarantees 50 years of service for classes 1, 2 and 3 and 25 years for class 4. Another firm commitment to the quality of GÁMIZ GROUP. 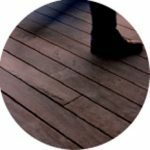 GEOLAM, the wood and polypropylene flooring (from 100% recycled material), WPC (Wood Plastic Composite), exclusively distributed by GÁMIZ GROUP, is a technological wood that works as an excellent alternative to exotic woods on exterior floors or facades. This Polypropylene and wood floor does not creak, does not crack, does not need maintenance, does not change colour. Non-slip, with a level 3 friction certificate. Very easy to install, its distinctive Eco Mark guarantees it respects the environment: 100% recyclable. 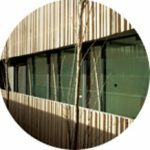 GEOLAM PREMIUM Wood Hybrid System (WHS) profiles combine wood composite with aluminium. 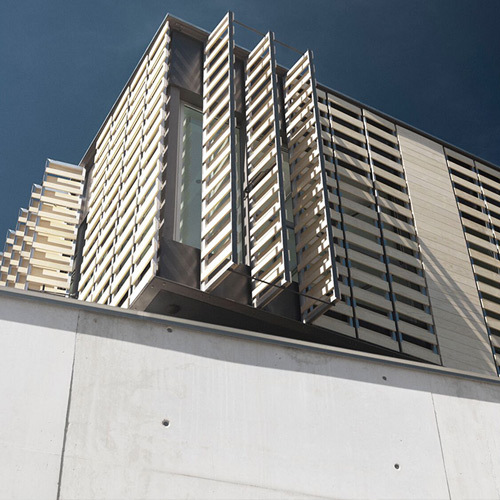 These WHS hybrid profiles from GÁMIZ GROUP offer an alternative to exotic wood architectural components and greater advantages over them: they do not require maintenance, they are long lasting and their aesthetic appearance does not change. 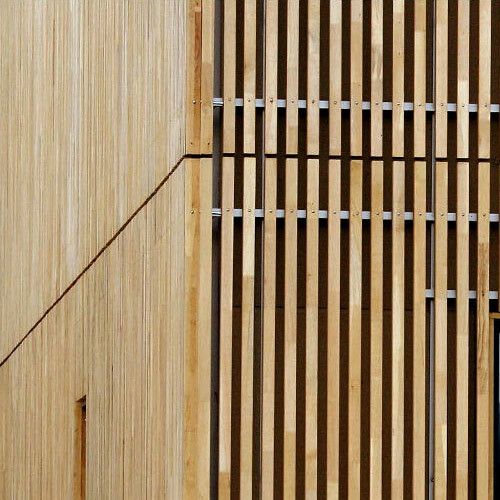 They can be integrated harmoniously in all types of facades. The GEOLAM PREMIUM hybrid profiles are straight profiles but can be curved to adapt them to any surface. In addition, the GEOLAM WHS hybrid profiles meet the highest requirements in terms of fire resistance. GÁMIZ GROUP commercializes and distributes TAG (High-End Flooring) exclusively, a very versatile product for large format design floors. With great dimensional stability and a wide range of finishes, it can be combined with underfloor heating. 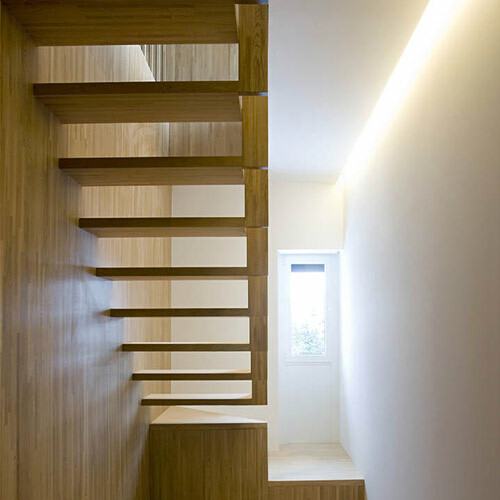 There are several installation methods for this two-layer flooring, using polyurethane glue and as a floating parquet.